Is this the most expensive paper bag ever? We’ve read so many articles in recent times about the death of the ‘IT bag’ and how ‘label fever’ and being branded with designer labels all over your outfit is so passé. Most recessionista fastionistas opted for discrete logos and plain handbags but now there is a strange new hybrid on the block- the labelled minimalist paper bag. 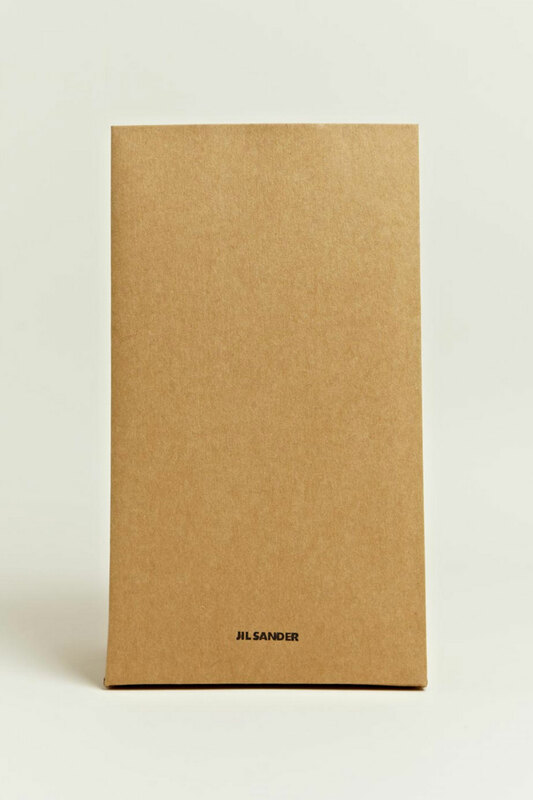 Jil Sander is selling a coated paper bag for £185 as part of its AW12 menswear collection. We agree that it’s the best looking paper bag we’ve seen recently but does it justify its pricetag? 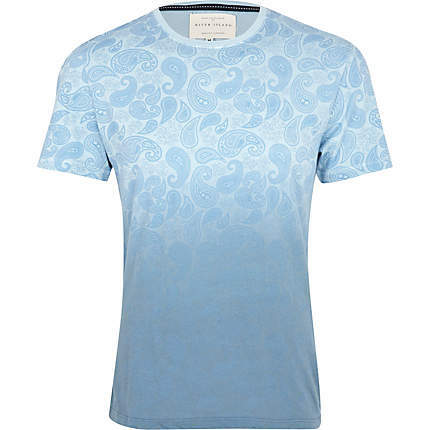 Well, it would appear that some men think so as it has sold out from stockist LN-CC. Now this is no ordinary paper bag. Oh no. 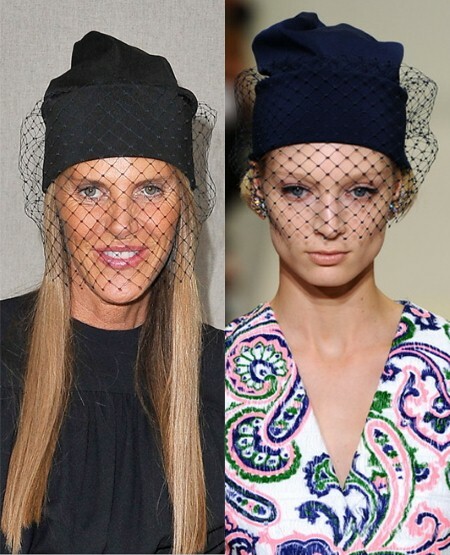 It boasts visible stitched seams and two metal eyelets at the bottom, according to Vogue. 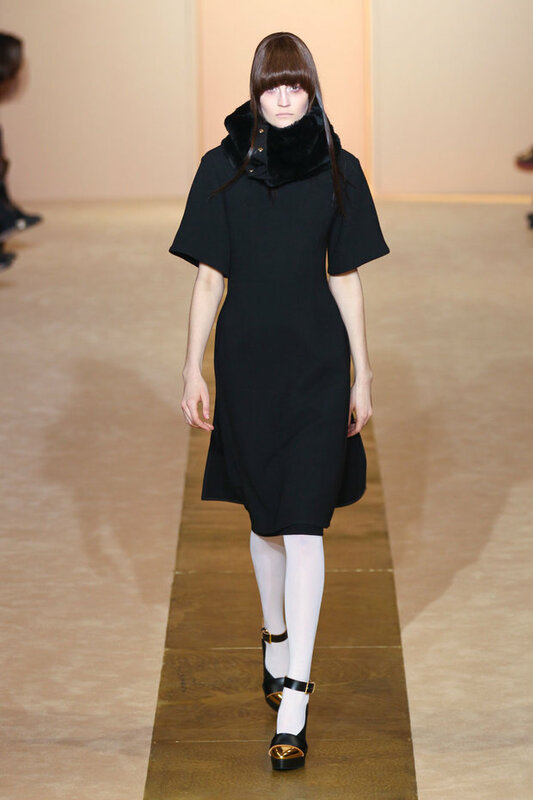 As well as the Jil Sander name – obvs. They say there’s a fine line between madness and genius…what do you think? 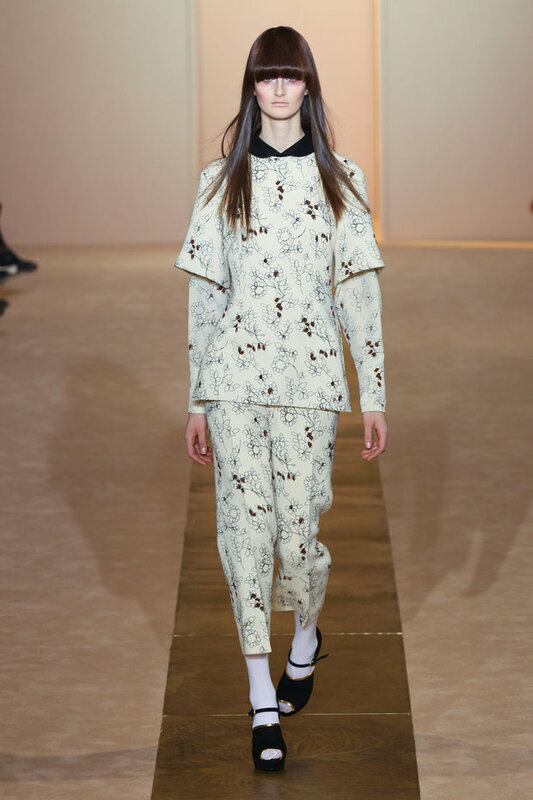 Raf Simons’ final show for Jil Sander included many wonders but for me, the star of the show was an oversized pastel coat that looked softer than baby bunnies. 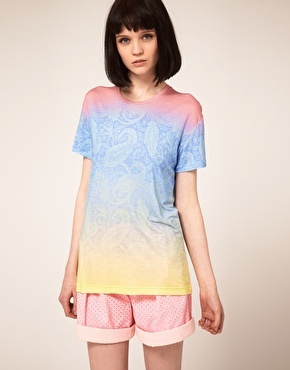 The good news is that you can nab similar pastel perfection at COS. Oh yes- you can thank us later. 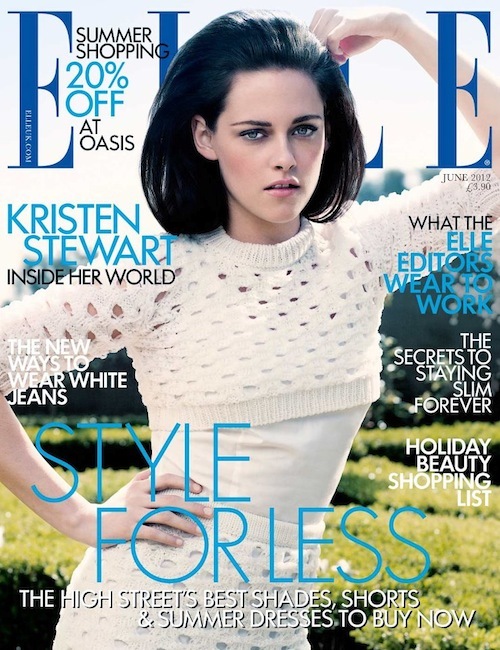 Kristen Stewart is on the front cover of Elle (June issue) wearing a white crisp Jil Sander outfit, which is so refreshing after recent months’ sugary Louis Vuitton overload! The pose seems pretty forced and uncomfortable, but it’s been a while since we’ve seen a landscape on a front cover and we really like it! In fact it’s a good month for Kristen as she’s been named the world’s best dressed woman by Glamour, knocking last year’s winner, Emma Watson off the top spot. We doubt if it’s her bashed-up trainers that won her the accolade but her sudden love of couture such as this J. Mendel knock-out number. So who made the rest of the top 10? These lot! Emma Watson, Victoria Beckham, the Duchess of Cambridge, Florence Welch, Michelle Williams, Blake Lively, Cheryl Cole, Olivia Palermo and Rihanna. And 11-20: Kate Moss, Alexa Chung, Kim Kardashian, Kiera Knightley, Dannii Minogue, Rosie Huntington-Whiteley, Fearne Cotton, Jennifer Lopez and Mila Kunis. We’d have put Alexa, Mossy and RHW in our top 10 and added Carey Mulligan, Emma Stone and Lana Del Rey, Miranda Kerr, Dree Hemmingway, Kate Bosworth into the top 20 somehow– oh it’s hard to choose! Do you think Kristen should have got the top spot? Paisley was big in the 1970s and had a bit of a comeback in the 1990s (not a good phase!) 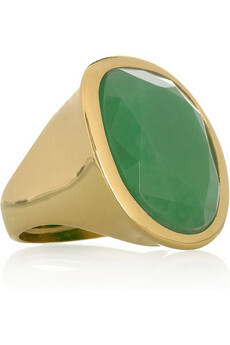 but this spring it’s cool and a great alternative to florals. Take styling tips from Jil Sander and Stella McCartney and wear your paisley with lots of white in sleek shapes, or make like JW Anderson and Jonathan Saunders and embrace some neon for a modern take on that pattern you see on lots of old blokes’ ties. Minimalism…in Italy? Of course! 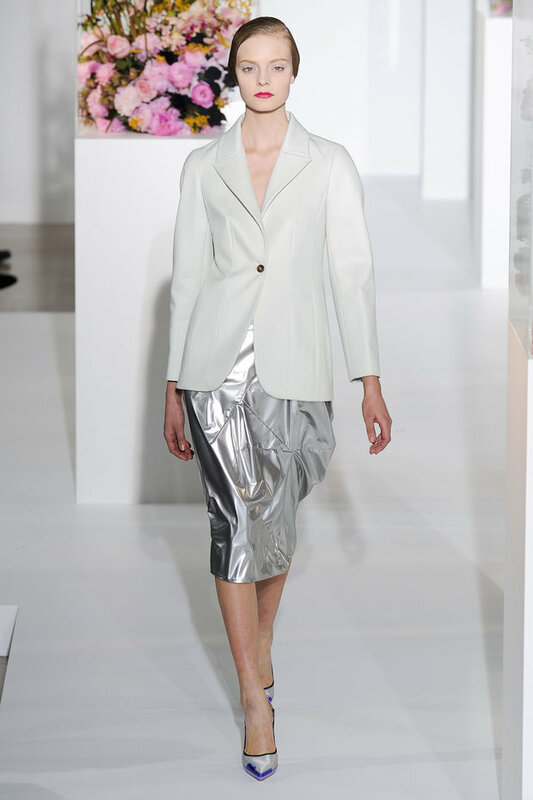 There were plenty of beautiful simple cuts around but of course all eyes were on Raf Simon’s final collection for Jil Sander. And it was predictably good! Packed with pretty pastels, soft shapes and luxe fabrics, we loved the loose coats, bustier dresses in cashmere, metallic leather and even PVC and full billowing skirts and trousers – romantic and feminine but not in a frilly way! And there are still those gorgeous pointy ankle-strapped shoes. Oh Raf, please move to Dior! 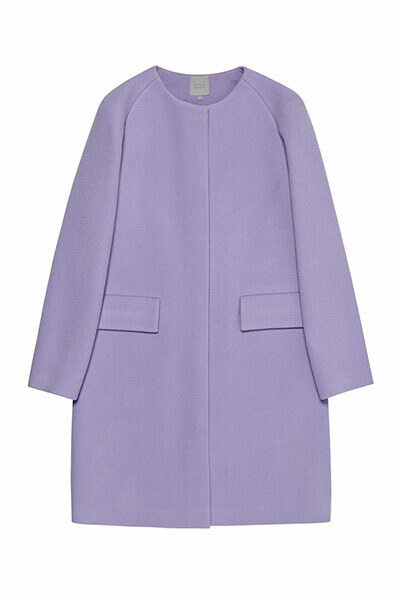 Cannot express how much I want this Jil Sander coat! Metallic leather lives on - yay! Not a fan of the Christmas jumper or metallic dresses for the holiday season? 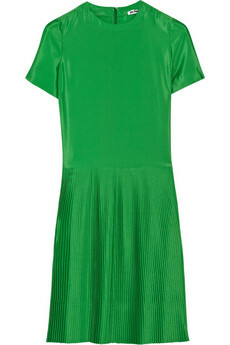 Why not make like a Grinch and rock some vivid green? 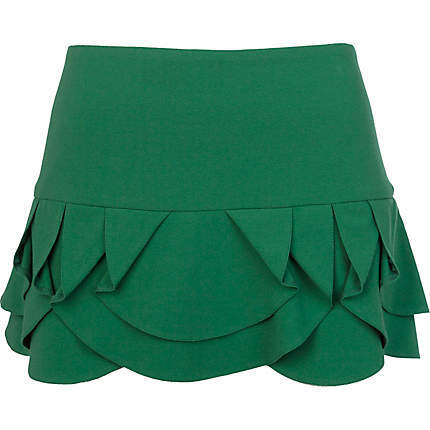 We’re crazy about a neoprene Philip Lim vivid green clutch, but here are some other evergreen picks. P.S. Fashion fact: Did you know that Gossip Girl’s Taylor Momsen played little Cindy-Lou-Who in the Jim Carey version of The Grinch?! 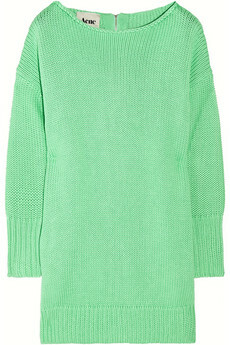 Acne oversized chunky knit cotton sweater £220 LOVE! 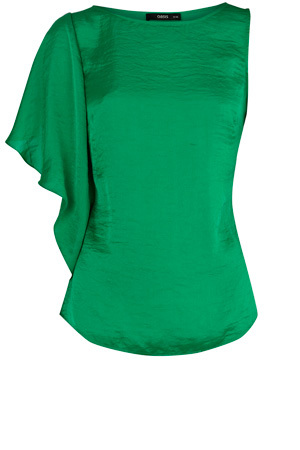 Satin asymmetric top £20 from Oasis - get it quickly - it's in the sale! 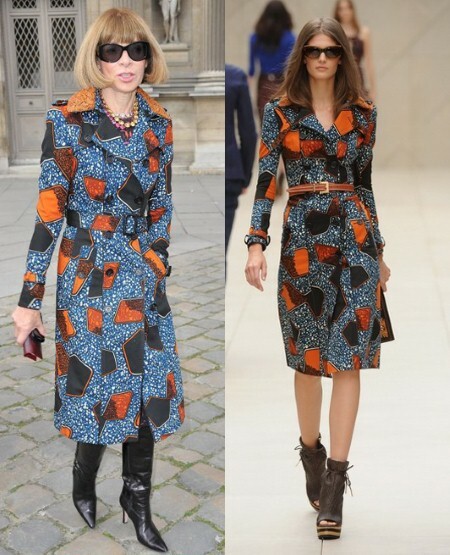 Celebrity trend: Wear S/S12 NOW! We were glued to the S/S12 fashion weeks and got incredibly excited at the prospect of floral prints, pretty pastels, crisp white dresses, seaside and underwater-inspired collections and so much more…but then got back to the business of dressing for this season. 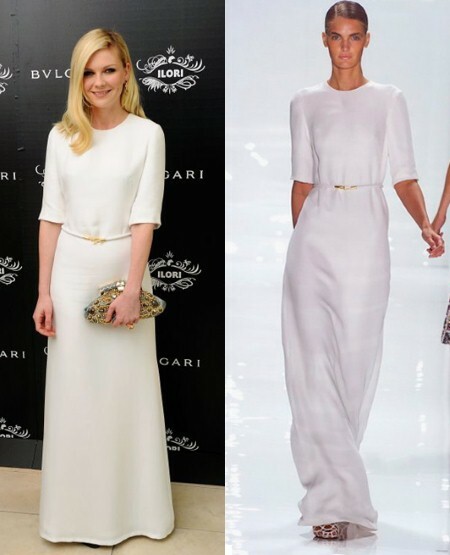 We got so excited when we spotted Sienna Miller wearing Matthew Williamson just a couple of weeks after London Fashion Week but The Telegraph has surpassed us by spotting plenty more famous folks wearing next season’s collections…Burberry, Jil Sander, Prabal Gurung, Jason Wu, Calvin Klein, Mary Katrantzou and Christian Dior. Rachel Bilson in Suno (Love this! Jil Sander smartphone: Has the fashion phone had its day? 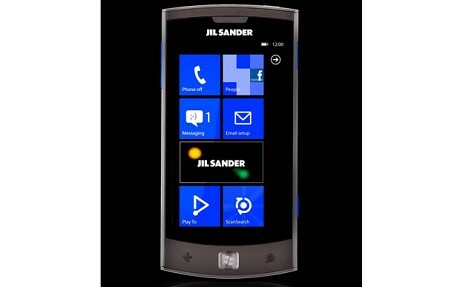 Jil Sander has launched a smartphone – built by LG and running Microsoft’s Windows Phone operating system. It has the latest version of the WP software, in juicy new Mango flavour. The phone boasts a 3.8 inch touch screen, 1GHz processor, 16GB on-board memory and 5mega-pixel camera – so over-all a pretty good spec, if not the best ever (but it does have a Jil Sander signature stripe round the outside) and a special Jil Sander app that gives users access to the latest collections, content and the brand’s social media activities. As a former tech journo who has played with plenty of smartphones, it looks like this phone is pretty good in terms of spec and isn’t just a pretty face. The question for us is- is it pretty enough to make you want it? It has nice lines and a chic simplicity (as you’d expect from Jil Sander) but to us, it doesn’t look dramatically different to other high-end smartphones, although we reckon the Jil Sander designed Windows ’tiles’ on the phone’s screen probably do some cool tricks. It will cost about €300 again, pretty much in line with phones with a similar spec, which begs the question whether you’d pick it just because it’s a ‘fashion’ phone. 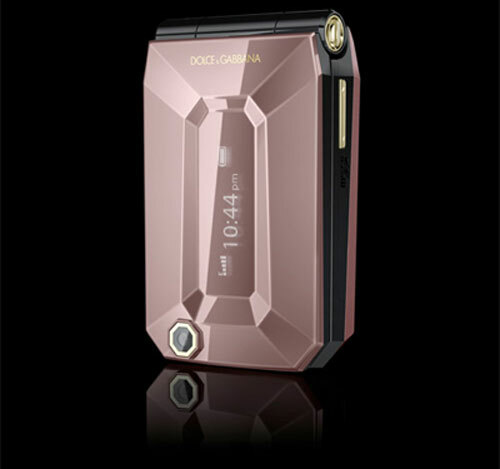 I was personally hoping for something a little more special and am a sucker for a fashion phone (as long as the spec is up to scratch!) but thinking about it, has the smartphone killed the fashion-phone genre? Now most smartphone just have a big screen and very few physical buttons so there is no longer scope to play with the design of buttons, the shape of the handset or make them open in a cool way, which makes me kind-of sad. 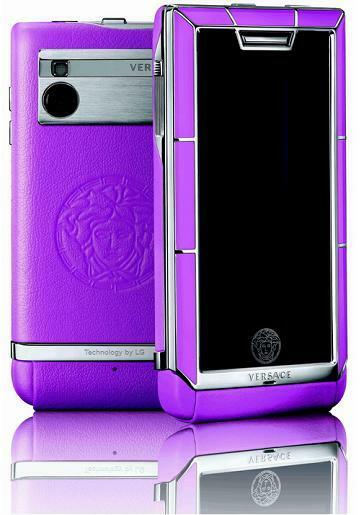 Last year, LG and French handset manufacturer ModeLabs built the ‘Unique’ Versace phone, which again married spec with a fashionable design (if Versace’s your thing). At least it was fun with its purple leather back embossed with the brand’s Medusa logo and came with the option of upgrading to an 18k yellow gold finish. While this all might seem a bit ‘much’, to be fair, the handset came with 3G, 5MP camera and Dolby surround sound. Nope, I couldn’t find out how much it sold for! 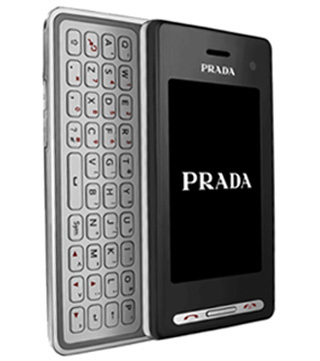 Prada also hooked up with LG a couple of years back to produce (you’ve guessed it) the Prada phone and it actually had a really handy flip out QWERTY keyboard and a touchscreen, which wasn’t bad at the time. However, when I hit my late teens (at a time where it was just about affordable to change your phone every couple of years, Nokia was king and handsets were quirky), fashion phones were HUGE including various candy-coloured options with gimmicks for girls. While this sort of ‘buy it, it’s purple’ attitude that sometimes comes with selling tech to girls winds me up, the specs were in-line with more sensible handsets so it was a little fun. Do you hanker after a fun fashion phone and if you could build one from scratch would you include? Funky buttons, fashion-tool apps, an incredibly flattering camera? We want to know! P.S. what happened to changeable covers? We LOVED them! Sources: The Telegraph, Epic Mobiles and own nostalgia. 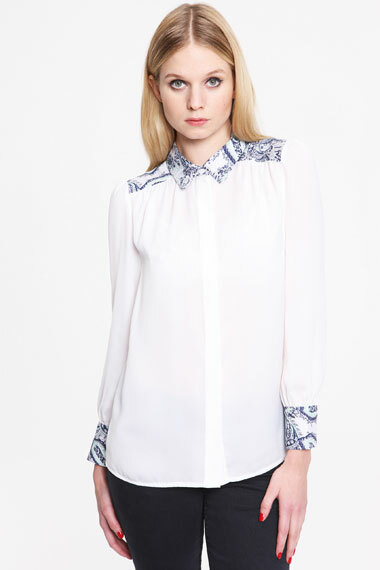 The Look: Ultra bright paisley prints, block colour and crisp white. 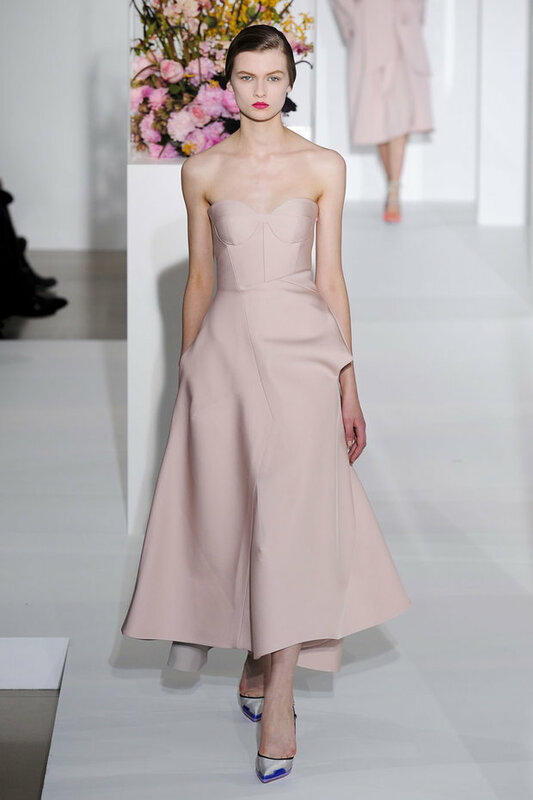 Shape-wise Raf Simons showed almost austere shirt dresses, pencil skirts, short/jacket colour blocked suits and beautifully simple white gowns. 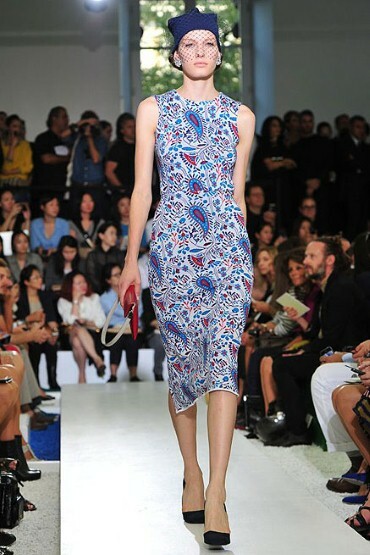 Best Bit: Paisley – recognisably Jil Sander but still a bit quirky and new.